Holiday rentals with pool & guest house in medieval Olargues and near spa town of Lamalou les Bains, Languedoc, South of France. Property Management. - PLACES TO SEE & ACTIVITES. 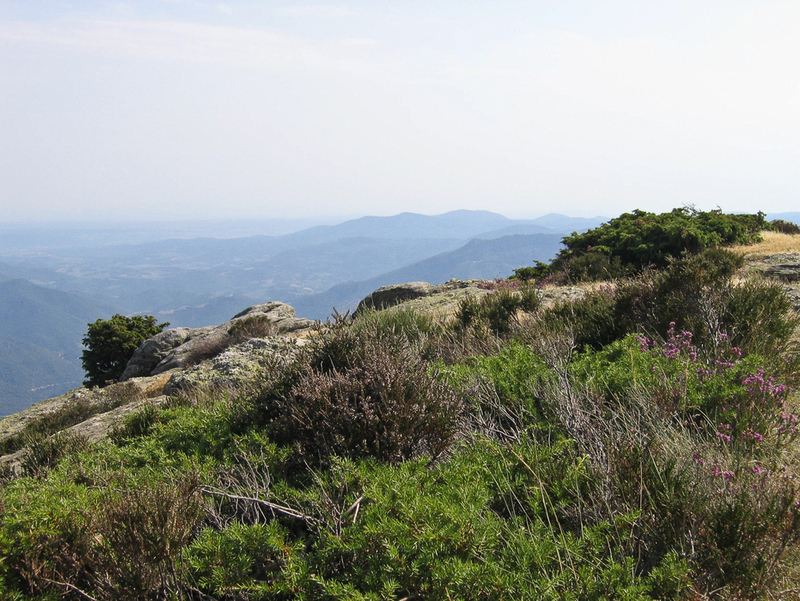 All our properties are right in the heart of Parc Naturel de Haut Languedoc and surrounded by natural beauty. Outdoor activities for people of all ages and interests are accessible right outside your door. Guided or self-led walks/hiking for all abilities. 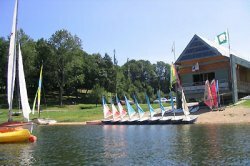 Canoeing and kayaking and other water sports. Discovering the exceptional flora and fauna of the Parc. Olargues: A must of course! The Pont de Diable, belfry, church, small but excellent museum and - naturally - the streets themselves which are still very medieval in ambiance. Classed as one of the most beautiful villages in France, Olargues still shows much evidence of its illustrious history (it was the Visigoth regional capital in the 5th Century AD). Do visit the Centre de Cebenna – a research centre with visitor facilities (including access to e-mail computers – which can be found on the Olargues side of the westerly bridge out of the village.) It is a mine of information about local flora, fauna and geology and sells a good range of maps and books etc. 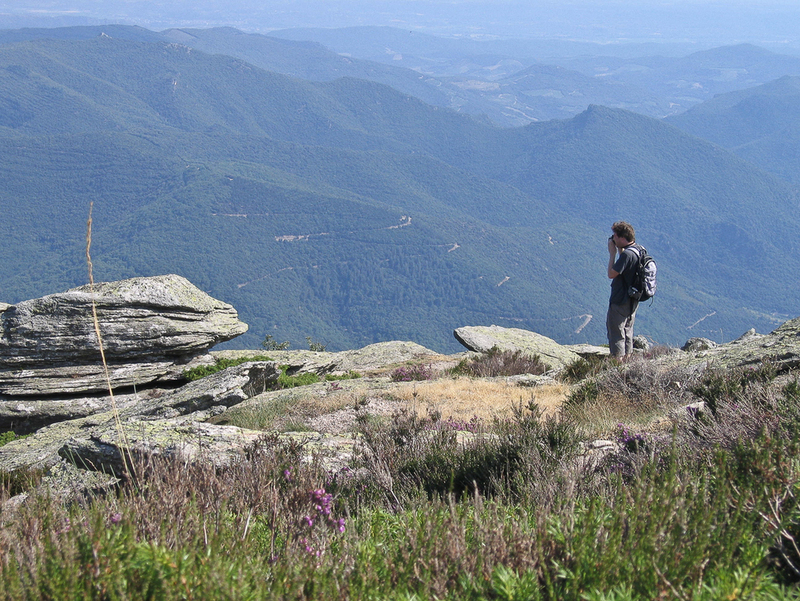 Gorges d’Héric: The walk to the tiny hamlet of Héric takes about 45 minutes, and if you are particularly adventurous, you can continue past Héric and reach the summit of the Caroux in about another 1-2 hours. The Gorge is excellent picnicking and swimming in the numerous rock pools. There is a buvette in Héric which serves hot and cold drinks. Gorges de Colombière: A 10-15 minute drive away. Enter through Colombière village; spectacular rocks but a more serious hiking challenge. Vallée de L’Orb: Turn south over the white suspension bridge just after Mons La Trivalle. 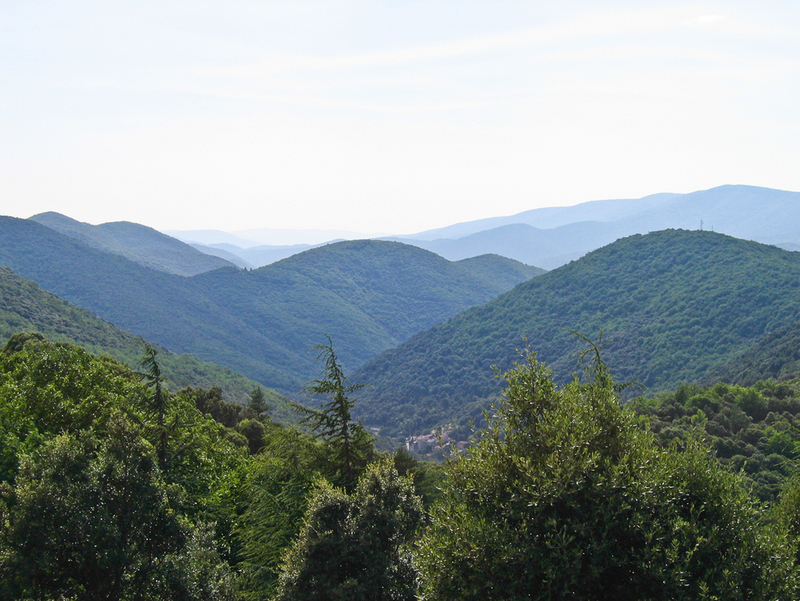 A spectacular drive and an alternate route to Beziers. 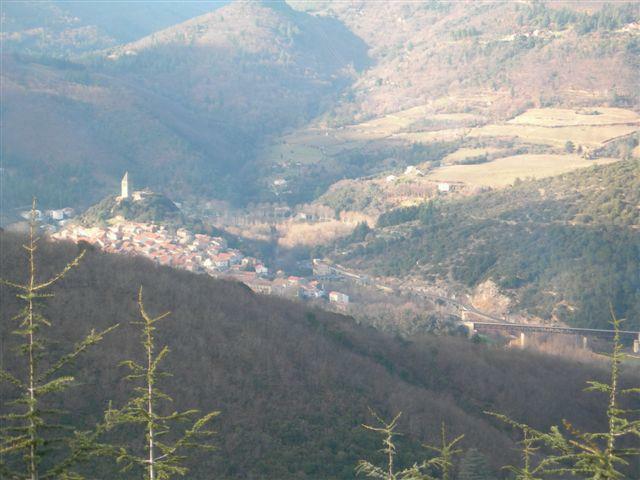 Visit Vieussan and Roquebrun, both fascinating and ancient villages. Good swimming and many wine caves. Mediterranean Garden at Roquebrun. Boussagues: Ancient village worth a short visit. Drive through Bédarieux turning left (i.e. north). Boussagues can be found 5 km on the far side by following the signposts. 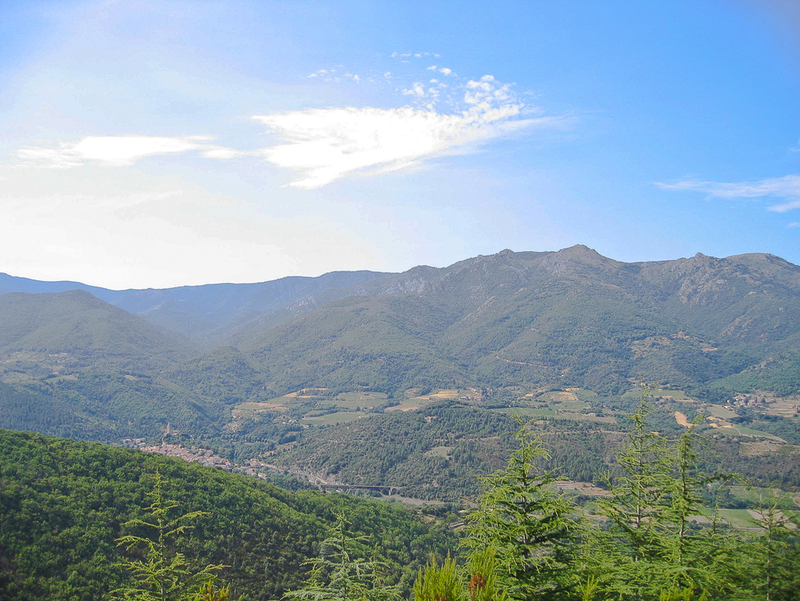 Les Haut Cantons: North of the Jaur, the high cantons can be reached either through St Pons or the Col de Fontfroide (starting just to the West of Olargues). 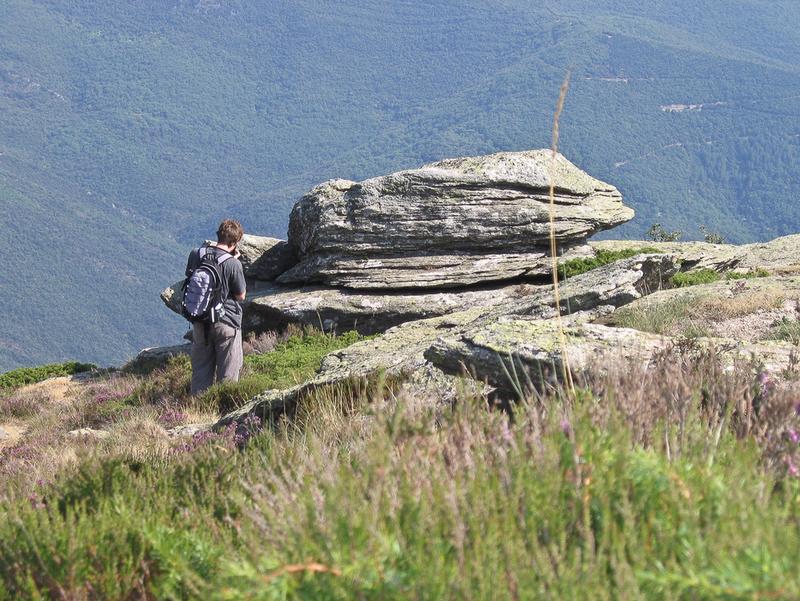 The latter also offers easy access to the summit of Montahut. Either route allows you to reach rolling plateau countryside similar to that found in the English Lake District. 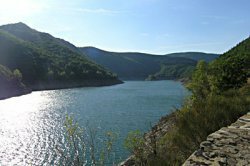 Salvetat-sur-Agout (50-minute drive) is an interesting but small town near to Lac de la Raviège and Lac de Laouzas, each of which has a good range of water sports. Mont Caroux: The craggy massif to the north-east. Access is by direct access on foot from the Orb valley, either from the Gorge d’Héric or by sign-posted tracks from St Martin de l’Arçon. 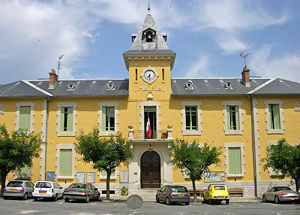 An easier route is initially by car through Lamalou or Poujol-sur-Orb to the village of Douch and then onwards by foot. The drive takes 30 minutes and is very interesting. It is followed by a fairly steep 30-minute climb from Douch onto the Caroux plateau and then a 1-hour walk to either the summit or to the Table d’Orientation. On a clear day – and there are many in these parts - you can see the Mediterranean as far as Sete or even the Pyrenees. Montahut: Montahut is the large rocky summit which lies to the north. It can be reached by driving up the Col de Fontfroide and turning right at the summit along the forest track for about 4 miles. The final 500 metres is covered on foot. Alternatively, direct access to the Montahut is possible for the fit and bold. 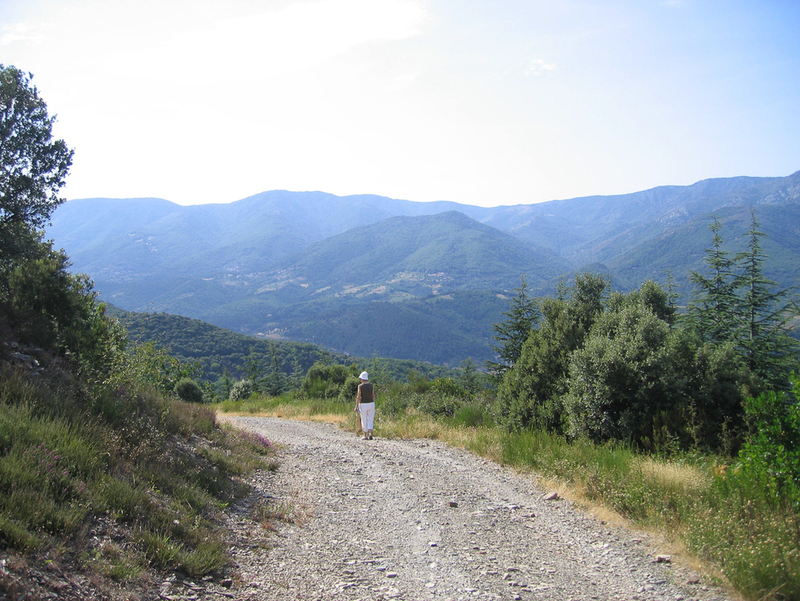 The route is through Le Cros just north of Olargues, but then follows mountain paths. This route takes about 3-4 hours to get to Montahut and perhaps 2-3 hours to get back. Lamalou: Lamalou is a health spa with excellent sporting facilities, a Boulodrome, a Casino, a Cinema and a Theatre (summer season of operetta), plus many shops, cafes, restaurants etc. A nice place just to sit and chat, you can also - If you wish - ‘take the waters’. Guided tours around the main thermal baths are offered during weekdays. Chateau St Michel: This ancient ruined castle (with a still-functioning chapel) is a pleasant two-hour walk from Les Aires (a village just south of Lamalou). You can see it standing on a rocky promontory against the skyline every time you pass Lamalou. There is a picnic area under the trees just below the old outer walls which can be reached by car by means of a single-track road. Bedarieux: Maison des Beaux-Arts, Geology Museum, restaurants & shops. St Pons: Cathedral, castle & museum. The Grotte de Deveze cave complex is 5 km further west and offers guided tours of wonderful underground grottos together with a museum devoted to potholing. Minerve: 1-11/2 hour drive through St Pons. Minerve is a remarkable former Cathar stronghold with some good restaurants. It is also the centre for Minervois wines, but there are always lots of tourists. Beziers: 1 hour drive away, and the nearest city. Bull ring, theatre, cinemas, Cathedral, restaurants and cafes. Friday flower market on the central Allées Paul Riquet. 25% of the people speak Spanish as their first language; others speak Occitan (an old Romance dialect). Valras Plage: The nearest beach resort. Excellent facilities and a huge sandy beach. 1-hour drive South-East. Extensive parking along the beach road. Try out Vendres Plage to the West for a quieter seaside experience and fresh seafood straight from the port. St Guilhem-le-Desert. If you are going to the Cirque de Navacelles, or as a nearby alternative to it, a visit to this charming old monastery town is unlikely to disappoint. 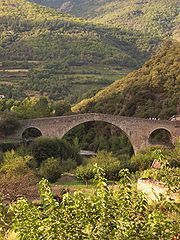 A visit to St Guilhem will also take you past another Pont de Diable, this time over the River Hérault, where the local lads leap into the water from a height of 60 feet. 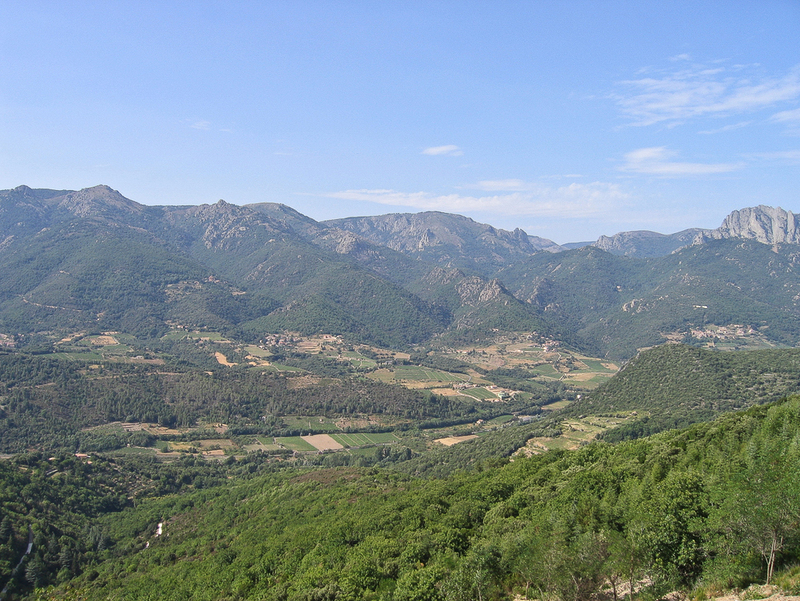 La Couvertoirade: 90-minute drive; north of Lodeve. A 13th Century fortified village built by the Knights Templar, La Couvertoirade also has an interesting range of craft shops. Grotte de Clamouse: 50-minute drive to the east, Grotte de Clamouse features spectacular stalactite and stalagmite formations beautifully illuminated. Agde: ‘The Black Pearl of the Languedoc’, Agde was built by the ancient Greeks out of black volcanic basalt. There are several museums and many excellent restaurants in the fascinating streets. Cap d’Agde (a very large beach-resort with huge marina) is nearby. 70-minute drive to the East. Sete: Close to Agde, Sete is a former Roman seaport with broad canals. Lots to see and do. The Water Festival takes place each August and features gondolas engaged in water-jousting. Montpellier: 90-minute drive to the East. High-tech centre and the region’s economic motor. Excellent shopping and eating, wide range of entertainments including 2 fine theatres (Comedie and Opera), several areas of historic interest. La Grande Motte: Also a 90-minute drive; large beach resort south-east of Montpellier. Aigues Morte: Further on from La Grande Motte, its name (literally: ‘stagnant water’) does not do it justice. On the edge of the Camargue and approached between étangs (lakes) littered with flocks of flamingos, Aigues Morte is a well-preserved fortified town dating back to the Crusader era and beyond. The central square is a super place to have lunch. Bull runs through the town in August with the local lads trying to lift rosettes off the horns. Camargue: 15 minutes past Aigues Morte, the Petit Camargue is of course famous for its black bulls, white horses and pink flamingos. Take plenty of insect repellent! Nimes: A two hour drive away to the East, Nimes boasts the world's most complete Roman temple and amphitheatre. Excellent restaurants, strong cultural life and good shopping; it was here that the fabric denim was invented (the word is a corruption of the phrase "de Nimes", i.e. "made in Nimes"). Narbonne: 75-minute drive to the South West, Narbonne was formerly the Roman capital of Gaul and is still thriving. Narbonne Plage is 20 minutes further on, with Gruissan Plage nearby. Carcassonne: Carcassonne is a 90-minute drive away (depending on the route). ‘Dream city of the Midi’ and Camelot look-alike, it is a fascinating if controversial reconstruction/renovation of a medieval town. It is very touristy, and not all of our guests have liked it, but others have felt it has been worth the trip. Perpignan: One and three quarters of an hour drive away, Perpignan was the seat of the Kings of Majorca. Spanish until 1659 and still more Spanish than French in ambience, it features a charming ancien ville area, a cathedral, castle, parks and of course nearby beaches. Difficult to know where to start, let alone when to stop! Mainly red and rosé. However, the local Muscat desert white wine is very good (try St Jean de Minervois), as are some of the regional Chardonnays and the whites from L’Hérault (try Picpoul de Pinet – from the area north of Sete but widely available in the supermarkets - as a very acceptable dry light regional white). The Haut Cantons border on the St Chinian and Faugeres AOC areas, and the Caves Cooperatives and Chateaux of both regions are well worth a visit. Other main regional wines are Minervois and Corbière. St Chinian wines are spicy, sturdy reds of the old school, Corbière are slightly coarse, fruity, peppery reds whereas Minervois wines are lighter, tasting of raspberries and pepper. There are many Chateaux in the area, and a visit to one can be a very civilised way to while away an afternoon. 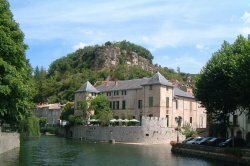 You will see several chateaux on the roads between the Jaur/Orb valley and Bezier. Try Chateau Grezan for a sampler; they do a very interesting guided tour followed by wine tasting. Also, do try the local vin de pays sold from caves and local shops.